Hello, This is our first freebie in 2014. So, Hope you will enjoy it. Today we are sharing an awesome Freebie!! 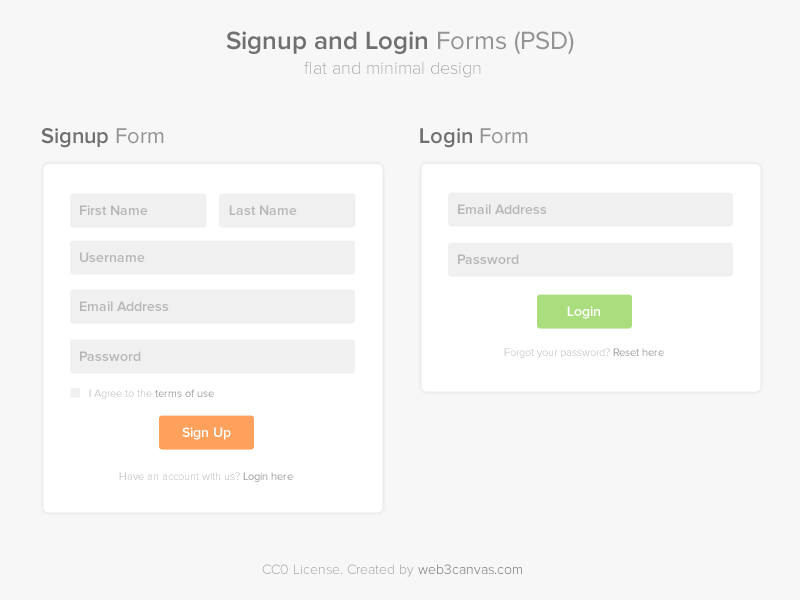 Flat and Minimal Signup and Login form page PSD. This free signup and login page psd will help you to create pages easily. You know that its using our Latest Flat Web Design trend.Popular in 2013, So We are hoping Flat Design will rock this year too.